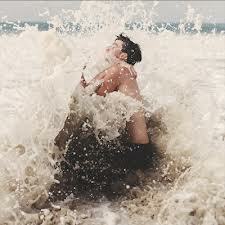 New Records – So Andyway…..
Part 3 of my 2012 year end must listens is live now! For more in depth looks check out tinksaysboo. I hope all affected by the storm are safe and dry! See you next week! 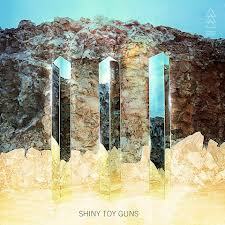 Shiny Toy Guns are back with III, a collection of strong songs that showcase their brand of electro-Pop with an alt-punk edge. The band embraces a softer sound on this record, due in part to the return of former Co-Lead Vocalist Carah Faye Charnow. Her alluring alto seems tailor made for a bed of dreamy synths, and is a perfect counterpoint to the slightly gruffer work by Co-Lead Vocalist Gregori Chad Petree. Their duets on tracks like “Waiting Alone” (below) and the lush “Wait For Me” make for my favorite moments on III. 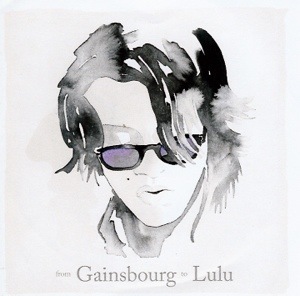 This is a record you can relax to, but that doesn’t mean it is without its uptempo moments. “The Sun” is a pulsating rocker that spices up the album’s latter half, and “Speaking Japanese” has a dirty guitar fueled grind to it. III has a much more focused feel than previous Shiny Toy Guns records, but that is not to say that their previous albums are unfocused. The often over used (and dreaded) term “more mature” can certainly apply here, but when writers employ that term they are usually referring to the bands focus. III feels like a complete album, one whose recording process started with a specific direction in mind. Fans have celebrated the bands ability to jump all over the musical map, but with their third record the band has chosen to send a specific tonal message, one that I found most engaging. 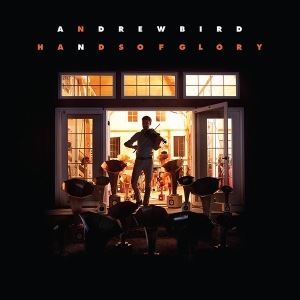 Grab it for yourself today at Amazon MP3. It’s New Music Tuesday! 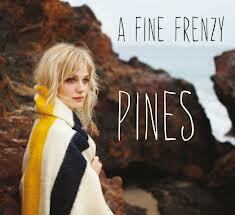 I’m spinning the new records by A Fine Frenzy, Ben Gibbard, and Anberlin! Come check them out at SoAndyway.com! Happy New Music Tuesday! This week sees new records by Muse and Matt and Kim! Check it out over at SoAndyway.com! While everyone was complaining about them mentioning their influences, progressive powerhouse Muse have created and released one of their best albums. The ‘hotly debated among people who haven’t heard a single note of it’ record in question is The 2nd Law, and it is one of the best aural journeys you will take this year. The lesson to be learned by all the bloggers, tweeters, and other social media users out there is this: Shut up and listen. They were so focused on the possible inclusion of Dubstep in their beloved perennial experimenters music that they didn’t listen to anything else the band had to say. Yes, there are tracks that have a Dubstep influence, but the band also manage to seamlessly weave in Classic rock, Metal, Electronica, Progressive Rock, Funk, Broadway Pop, Classical, and U2 inspired Power Pop. Seeing as how the “Dreaded” Dubstep’s roots are firmly in Metal/Prog Rock, not to mention the band’s love of aggressive electronic sounds has been evident across their entire discography, this marriage should be viewed as a natural one. Couple that with the fact that there is only one track to wear this influence on its sleeve (The 2nd Law: Unsustainable), everyone who panicked and trashed the band publicly should feel embarrassed. What is truly remarkable though, is that the track is meant to be the sonic representation of panic and fear, juxtaposed against the suite’s calmer continuation (The 2nd Law: Isolated System). I felt that all needed to be said about the ridiculous pomp leading up to the album’s release, but how about we look at the album itself? Opening march “Supremacy” is a triumphant salvo that sets the adventurous mood upfront. Lead singles “Madness” (below) and “Survival” are as killer as any of the bands catalog, with sways and swells that explore the bands Queen influence in a fresh light. The funky bass driven intro to “Panic Station” will have your head bobbing involuntarily across the danceable three minute tune. The aforementioned title tracked suite that ends the record is some of Muse’s most poetic and bold work to date, a truly remarkable pair of art rock. 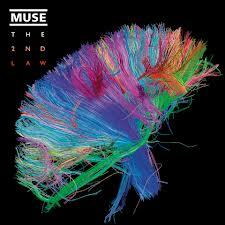 Muse has long proven themselves to be masters of mashing up genres while staying true to their core, and the fantastic The 2nd Law is another chapter in their ever ascending career. 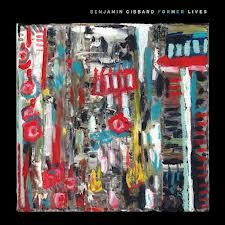 This album deserves nothing but praise, and the music is perfectly capable of arguing that for itself. However, its now time for me to shut up about it, and you to listen. 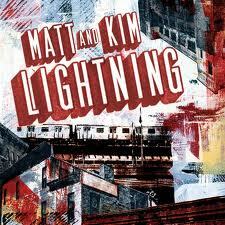 Indie darlings Matt and Kim have returned with another sunny festival of block party ready tunes. Lightning will certainly delight fans, and anyone not on board with this fantastic duo should certainly take notice this time around. Bright opener “Let’s Go” (below) is the kind of track that you’ll be humming for a week after just one listen. “Now” is a pulsating power pop jam that shimmies and sparkles. Rippling synths lay the bed for “Overexposed” and set the tracks bubbly tone. The piano led “Ten Dollars I Found” brings the party to an eloquent close after just ten short tracks. The tune is anthemic and broad in scope, but never lets go of that homemade feeling that makes the rest of Lightning so inviting. This is the kind of album that will have you smiling subconsciously throughout, and any of its tracks are sure to brighten up any playlist. This is a must add to your library. 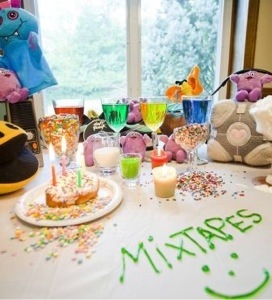 New Music Tuesday 9.25.12! With Mumford & Sons and Green Day. 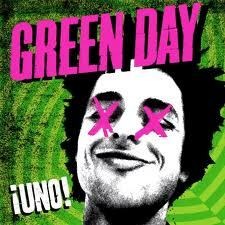 The first in an already recorded trilogy of records Green Day‘s Uno! is sure to spark a lot of conversation about the punk rockers. A lot of the record feels in many ways like a career retrospective, which can be taken as either a negative or a positive. Longtime fans will notice the nods to Nimrod and Warning era, and the band will take a lot of flack for this. I think this referential tone was done on purpose. Any follow up to the massive undertaking that was the combined success of American Idiot and 21st Century Breakdown was bound to cause the band to look back on where they had come from, and perhaps this trilogy is meant to acknowledge the past as well as the future. The band feels freshest on tunes like “Let Yourself Go” and “Kill The DJ”. The former rages for its near three minute run time and boasts a frenetic guitar solo, while the latter incorporates some near reggae/funk influences into the bands trademark sound. Lead off scorcher “Nuclear Family” (Below) sees some of Bille Joe Armstrong‘s best lyrical work on the record. “Troublemaker” and “Loss Of Control” enjoy a Classic Rock influence that gives the tracks an exciting tone. Uno! will please fans of the bands 2000’s era output, and may surprise a few people. Having struck up an affinity for bluegrass and other folksy styles in recent years, it seems as though Mumford & Sons have hit me at the perfect time. If you loved their debut record, there is much to love about Babel. The band certainly has a strong sense of who they are, and all the elements that made Sigh No More special are present, but turned up to eleven. 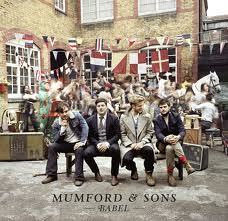 Babel is not going to surprise anyone, but it is a stronger representation of what makes the band great. I don’t mean to say the Babel is a better record than its predecessor, but rather that the band that made this record is much more confident in its approach. They have sold millions of records across continents, and they have played to sold out arenas across the world. The record opens with the trio of barn burners including the title track, “Whispers In The Dark” and “I Will Wait” (Below). “Ghosts That We Know” is a passionate ballad that is sure to receive a lot of airplay, and I’d be mystified if it doesn’t end up in a film somewhere. “Love Of The Light” swells and crashes on a grand scale. Intensely passionate and melodic, Babel is a record that will demand your attention.